The collapse of Syria into civil war over the past two years has spawned a regional crisis whose reverberations grow louder with each passing month. What are the root causes of the historic upheaval in Syria? In this timely account, John McHugo seeks to contextualize the headlines by providing broad historical perspective and a richly layered analysis of a country few in the United States know or understand. 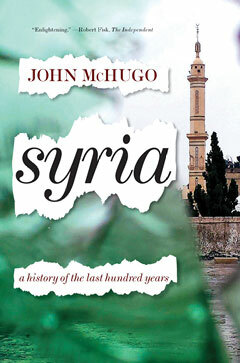 Kirkus calls Syria a "Sober-minded history of a nation that has existed in its present form for less than a century."